The unrivaled capabilities of CorelDRAW Graphics Suite 2018 in combination with your creativity are an excellent basis for projects for creating layouts, developing websites and editing photos. The package is equipped with enhanced support for Windows 10, multi-display mode and support for 4K monitors. The product allows designers of different levels of training – from beginners to professionals – to quickly and with confidence achieve high-quality results. Discover professional and at the same time intuitive tools for creating logos, brochures, web graphics, advertising for placement in social networks and other original projects. Work with CorelDRAW in your own way! CorelDRAW Graphics Suite 2018 – the newest and most advanced software for graphic design. The package includes all the recognized in the industry tools presented in CorelDRAW Graphics Suite 2018 as well as many other functions. Forget sketches on paper and scan drawings! A wonderful new tool LiveSketch ™ allows you to instantly catch the idea at the time of creative inspiration. Our package contains the most modern tools for quickly and confidently creating stunning design and photo projects, graphics and websites. Redesigned fully customizable interface. The working environment, where the necessary tools and settings are always at hand, reflects the characteristics of your workflow. To get started quickly, you need to select the appropriate workspace, and then use the Quick Setup feature to debug the toolbox and the property panel according to your preferences. We offer a default workspace, a simplified workspace and a classic workspace (based on the X6 version). Specialized workspaces. Several ready-made workspaces will help you to effectively organize and arrange the right tools within easy reach. At your service workspaces “Page Layout” and “Illustration”, as well as the ability to recreate the settings of Adobe Photoshop or Illustrator in the workspace – it will facilitate the transition from Creative Suite to CorelDRAW. Full control over fills and transparency. 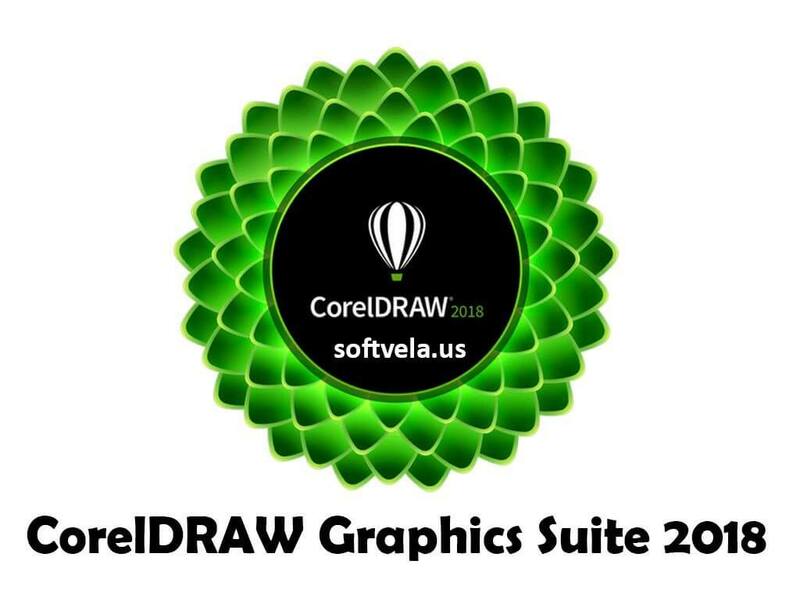 For CorelDRAW Graphic Suite X8, we developed our most powerful filler module, which provides full control over the fountain fill and the filling of raster and vector patterns. Now you can create elliptical and rectangular fountain fills, adjust the transparency level of a single color of the fountain fill and repeat the fountain fill inside the object. Convenient font preview and advanced character settings. Here you can find a suitable font for any project. 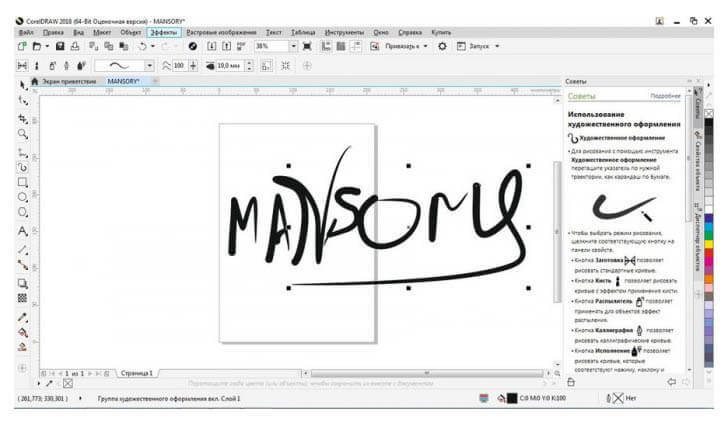 The “Font Application” setting window offers a preview function for various fonts and allows you to experiment with them. In addition, the redesigned “Insert Symbol” setting window automatically displays all the characters, symbols and glyphs that are associated with the selected font, which greatly simplifies the search and insertion of these elements into the document. Special effects and advanced photo editing capabilities. The special effects presented in the Corel PHOTO-PAINT X8 include four new pressure-sensitive blur tools – Smearing, Twist, Pulling and Pushing, as well as new camera effects – Bokeh, Color, Time Machine and Sepia, which give the images a unique look. Extended support for RAW formats over 300 camera models opens up additional possibilities for working with images. Precise tools for drawing and prototyping. Make sure that every element on the page is located exactly where you want it, with improved means for creating layouts. The “Guides” window allows you to quickly locate objects, displayed in the process of work, along with the proposed alignment options relative to other objects. The location options of the outline make it possible to specify whether the outline is located inside the object, outside the object, or equally on both sides of the boundary of the object. QR code generator. Create unique QR codes and add them to your projects as a mobile marketing tool. Use text, images and color styles to give QR codes the intended look. Your QR code can be in harmony with the overall design, or it may contradict it – the options are endless! The built-in check feature will make sure that the QR code is working and can be decrypted using a smartphone with an installed application for scanning. Built-in Content Center. Discover the online content store Content Center *, fully integrated with the applications package. You can share vector, raster and fountain fills with members of the community of CorelDRAW users right in the application. Take inspiration, showcase your works and vote for your favorite works. xtended support for OpenType. Create beautiful inscriptions with the help of extended typographic capabilities of OpenType – ligatures, ornaments, capitals and strokes. OpenType fonts, ideal for cross-platform development, provide comprehensive language support, allowing you to customize the characters according to the working language. Support for complex fonts. Thanks to the CorelDRAW functions, which provide the correct typographic character set, working with Asian and Middle Eastern languages has become even easier. Support for complex sets works in the same way as support for OpenType fonts: characters change as you type, which ensures the context. Document styles. The settings window “Object Styles” makes it easy to create, apply, and manage styles. Style sets facilitate tasks of fast and uniform formatting of documents and creation of several variants of the same design. Custom color harmonies. Easily create additional color palettes for the project. The “Color Harmony” tool combines color styles into harmony, so that you can perform group color changes. It also analyzes colors and shades to form additional color schemes – an excellent way to surprise customers with variety! Tools for forming vector forms. Add interesting effects to vector objects. The four forming tools – Mastichin, Funnel, Pulling and Repulsion – allow you to refine vector objects by drawing, repelling, smearing the object or creating excavations. Tools for working with page layouts. With improved page layout tools, the process of developing complex layouts has become even simpler. The empty PowerClip frame allows you to reserve space for text or graphics. The Template Text tool allows you to model the page layout and see how the text will look, and the automatic numbering feature allows you to quickly add page numbers. • Built-in support for 64-bit multi-core processors. Now, thanks to multi-core processing capabilities and built-in support for 64-bit processors, it will take very little time to develop your projects. Increased productivity and more efficient use of memory provide faster execution of resource-intensive tasks, allow faster processing of large files and images, and increase the number of simultaneously processed large files. • Powerful color management system. Redesigned color management system provides control over the correspondence of color parameters for different media and allows creating individual color palettes for each document. In addition, the color management system provides enhanced color accuracy, as well as support for the latest PANTONE color profiles. It allows you to reduce the cost of re-printing, ensuring the exact correspondence of colors before printing. • Tools for web graphics. A collection of CorelDRAW tools for working with web graphics will help in creating fascinating web content. Pixel mode displays the image exactly as it will look on the Internet, and the export dialog allows you to compare the formats before exporting the image and select those settings that will give the best result. 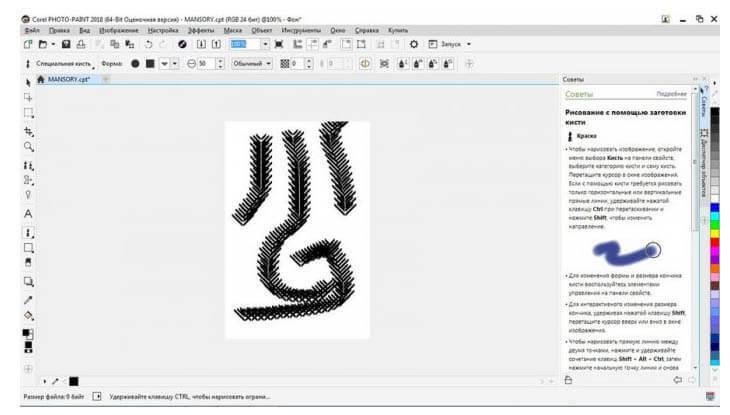 • Easy tracing of raster images to vector. Do not waste precious time converting raster images to vector graphics. The greatly improved Corel® PowerTRACE® integrated module will provide impeccable trace results and convert the most complex raster images into high-quality vector objects. • Built-in materials organizer. Our built-in search tool Corel CONNECT will help you view and find the materials you need, and then organize and group the content by type or project. The function of synchronization of working trays with Microsoft OneDrive will provide permanent access to the latest versions of your projects from other computers or mobile devices. • New! LiveSketch tool. Draw anywhere and anytime! The revolutionary LiveSketch tool will help you to do this based on the latest developments in artificial intelligence and machine learning. LiveSketch turns artistic sketches into precise vector curves directly on touch screen devices. • New! Improved knots, pens and vector previews. Improved nodes, pens and previews, which are not lost on the background colors of the drawing, allow you to more productively edit objects and effects. New! Well-distinguishable interactive controls. The increased visibility of interactive controls makes it easier to work with fills, shadows, contours and effects of transparency, blending and stretching. • New! Configurable forms of nodes. CorelDRAW 2017 simplifies the procedure for forming curves and objects: now each type of node is assigned a unique shape, which makes it easy to identify smooth, sharp and symmetrical nodes. The form of the nodes can be chosen taking into account the peculiarities of your workflow. • New! Sensor-based user interface. Support for the tablet mode greatly facilitates the process of making changes with the help of a pen or by touching. The new touch workspace “Touch” optimizes the user interface, maximizing the drawing window and displaying only the necessary tools and commands. In addition, zooming and panning is now performed in one gesture. • New! Qualitative improvements in pen input. Native support for Microsoft Surface, as well as enhanced support for pen input allows you to preserve the natural sensations when drawing and enable you to achieve more expressive results. The redesigned interface provides direct access to the controls needed to perform the current task. In addition, it is possible to quickly select the most effective in a particular situation, the properties of the pen. Improvements presented in CorelDRAW Graphics Suite 2017, allow you to use the force of pressure, tilt, rotation and direction of the pen to control various tools and effects. • New! Import workspaces from previous versions. 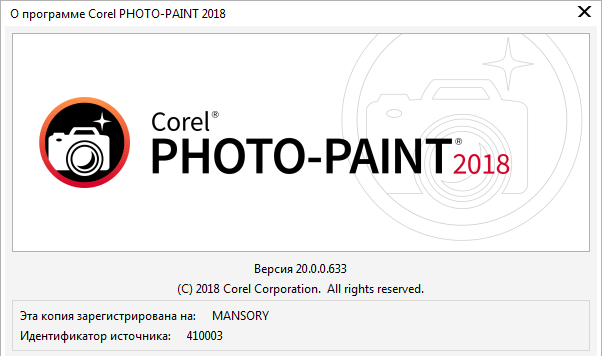 CorelDRAW Graphics Suite 2018 allows you to easily import and use workspaces created in X6, X7 and X8 versions of CorelDRAW and Corel PHOTO-PAINT. The package presents flexible options for importing the workspace into the current working environment (including the import and export of individual elements of the workspace), as well as the means of creating a completely new user interface. The process of selecting the elements of the workspace intended for import and export has been maximally accelerated. • New! Microsoft Surface Dial support. 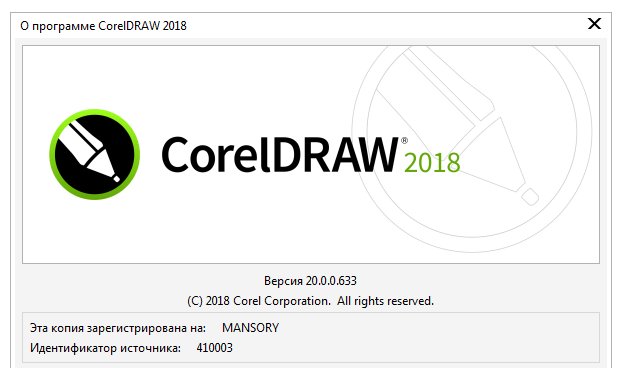 CorelDRAW Graphics Suite 2018 offers native support for Microsoft Surface Dial on the Windows 10 platform. Working with CorelDRAW and Corel applications PHOTO-PAINT opens unique opportunities both in the field of creativity and in the field of interaction with technology.